Philosophy The Microdelivery Peel | This is a quick, two-step treatment that exfoliates and resurfaces, but isn't too harsh. My face feels baby soft when I'm done using it. I especially love it in the winter when my skin is dry, flaky, and dull. Plus, the Vitamin C in it smells deliciously orangey and fresh! It's a bit pricey but a little goes a long way – when used twice a month, one set lasts me almost a year. Josie Maran Whipped Argan Oil Body Butter | I bought this for the first time when I was drunk and watching QVC (don't ask...I blame Shark Tank) and I am so, so in love with it. I use Argan Oil on my hair so I was curious to try this body butter version, and it's wonderful. It's super creamy, yet light and fluffy, and moisturizes for hours without being gross or heavy. It's a luxurious upgrade to your daily body lotion. Kiehl's Creamy Avocado Eye Treatment | Finding the right eye cream can be difficult, especially when the anti-aging results aren't instantly visible. I've cycled through a few and my favorite by far has been this one. It absorbs well and fight dryness. I've also found my eyes are less puffy when I wake up, which is sort of a miracle considering all of the bizarre wedding nightmares that interrupt my sleep. Aztec Secret Indian Healing Clay Mask | Last but not least, my personal favorite—this is the mother of all facials. This stuff will purge your pores and smooth fine lines, all while making your face pulse (for real). It comes as a dry clay, which you can either mix with water or organic Apple Cider Vinegar, which is my preferred method. When mixed with the vinegar, the clay fizzes and bubbles and makes the mask easier to apply, when I've found water doesn't quite mix up as smoothly. Plus, you get the added cleansing benefits of the Apple Cider Vinegar to really make this a powerhouse treatment. I spread it on and let it sit until it's dry (about 15-20 minutes, or until you literally can't move your face). I love that it's cheap ($9! ), lasts forever (I've had the same tub for over a year) and makes your pores disappear. My skin looks fresh and awake and it's super addicting—it's definitely a little intense so I try not to overdo it, once every other week seems to work for me. Good luck in the giveaway, drink your water, and don't forget to treat yo self! Love to hear about everyone's skin care routines! I am addicted to my Clarisonic for sure, it's amazing for getting rid of winter flakes. I also can't live without Cerave moisturizing cream. It's not glamorous, but it's the best lotion for my sensitive skin. This looks like a great list of products. Winter really takes a toll on my skin and that Philosophy Microdelivery Peel seems like it would be awesome. I definitely am going to look into that one! I use Aveeno moisturizer every day! It makes my face feel great! What's your daily skincare routine like? Would love to see a post on your daily must haves! Great, I'd be happy to share! I've been obsessing over the Korean face masks lately. They are silly looking but my skin looks and feels great! thank you so much for sharing! 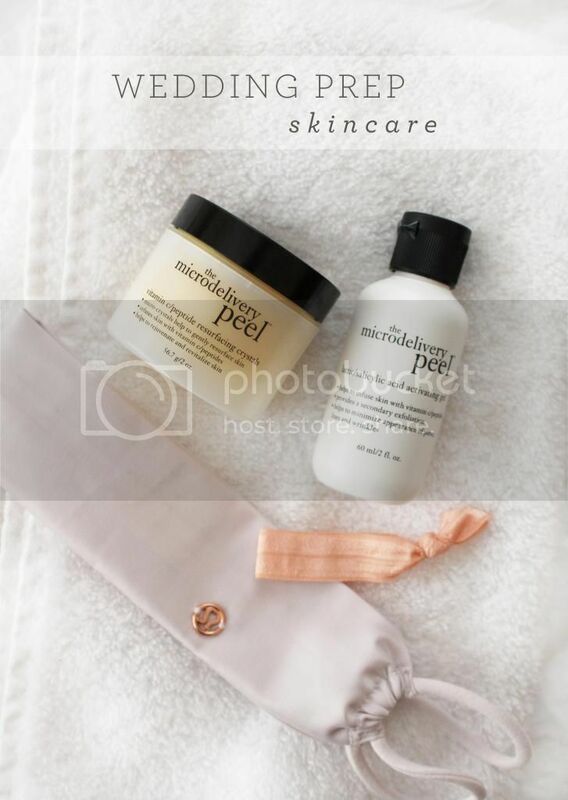 definitely want to try that microdelivery peel! 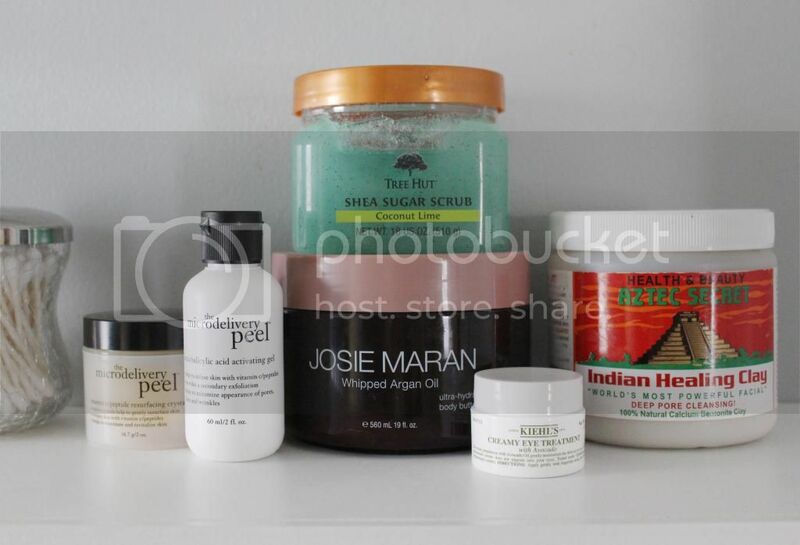 I recently started using several Josie Maran products. So far I love everything. Definitely going to try the Indian Clay Mask off Amazon. Love how cheap it is too! Yes, I love that! Something doesn't have to be expensive to be high-quality. I recommend it to everyone! I really enjoy Philosophy's Detoxify Oxygen Peel and Ahava's Purifying Mud Mask (which I sometimes mix activated charcoal into) to help rid my face of the dreaded adult onset cystic acne. This combo has cleared my face up beautifully. I've been using rose oil and Lush's Amazing Grace to help diminish the dark spots left behind from scarring. For my skin, I use Ahava's Liquid Sea Salt (especially for rashes and psoriasis) and their sea salt &/or mud soaps; followed by one of their lotions (varies depending on the season). I highly recommend the glamglow supermud clearing treatment! Sooo good!! I've heard good things about that line, but haven't tried it! I might have to—thanks for the tip! I love routines - putting on lotion after my shower is soothing and relaxing. I really love Kiehl's products! I haven't tried their Creamy Avocado Eye Treatment yet, but I love their Ultra Facial Cleanser and Ultra Facial Cream! My favorite skin care product is Noxema. My favorite skincare brand is Clinique. Thanks for the giveaway! Definitely need a new skin care product! My skin has hated everything I have tried lately! I'm a huge fan of the Josie Maran line!